* Cost of benefit is $20.00 per adult and $10.00 per child payable at iToursntix Paradise Centre before you go to Hard Rock Café. iToursntix is located at Kiosk 1, Paradise Centre, Cavill Mall Surfers Paradise, 4217. Address Corner of Cavill Avenue & Surfers Paradise Boulevard, Surfers Paradise, 4217. Collection Information $20 Adult and $10 Child surcharge is payable direct at iToursntix located at iToursntix is located at Kiosk 1, Paradise Centre, Cavill Mall Surfers Paradise, 4217. 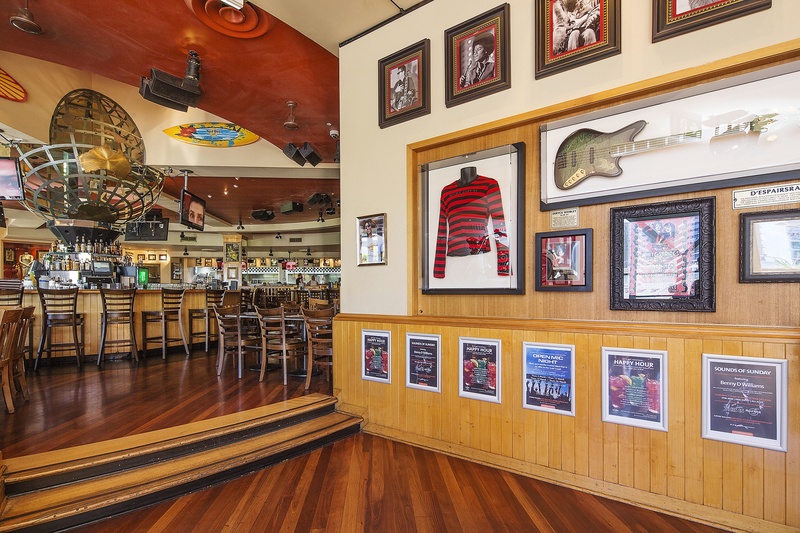 A trip to Surfers Paradise would not be complete without stopping in at Hard Rock Café. 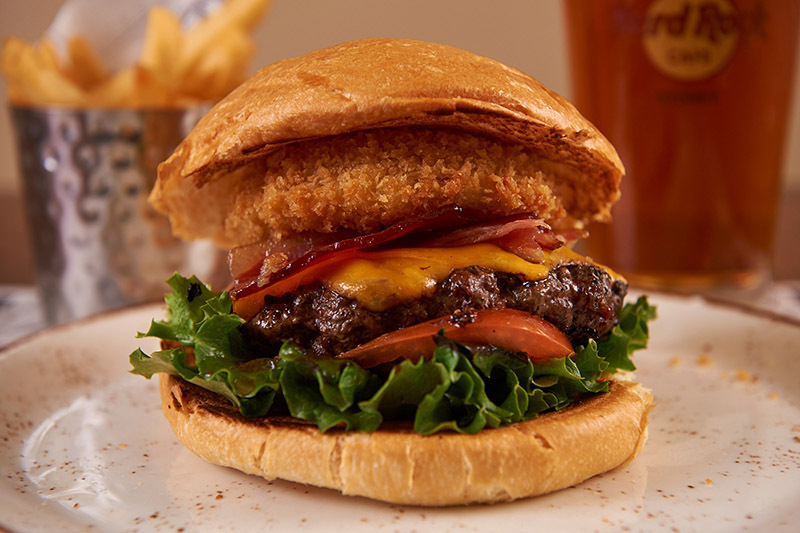 Hard Rock serves freshly made American-style food mixed with some local favourites and a wide range of great menu options to suit any dietary requirements. Dine in and enjoy the vibrant atmosphere surrounded by the Hard Rock’s iconic music memorabilia collection. 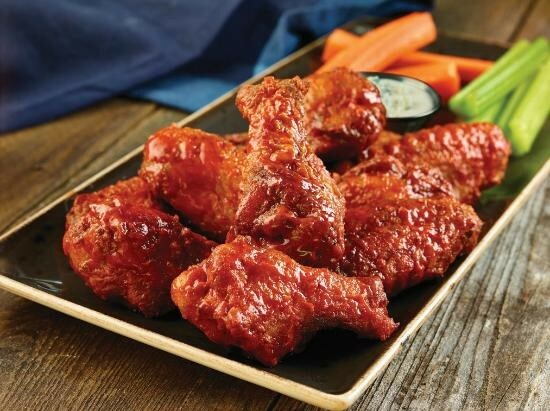 Rockin’ Wings Jumbo wings, coated with our signature smoked dry rub, slow roasted and served with blue cheese dressing, carrot and celery sticks. Choice of Buffalo style or grilled with our Hickory BBQ, Tangy, Classic Rock, or Heavy Metal sauces or dry seasoned. 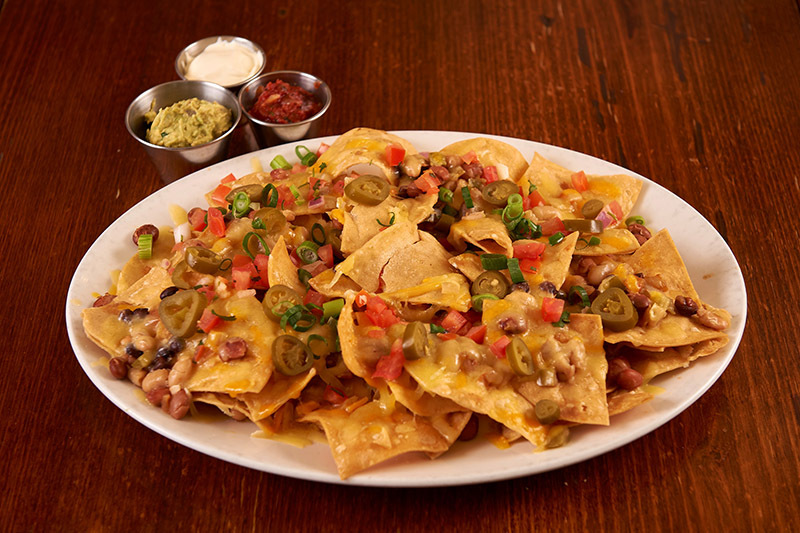 Hard Rock Nachos for one Tortilla chips piled high and layered with three bean mix, Monterey Jack and cheddar cheese, pico de gal lo, jalapefios and green onions. Garnished with sour cream. Quinoa Burger A homemade patty of quinoa, red onion, Portobello mushroom, eggs, pecans, barley, soy sauce, and breadcrumbs, topped with hummus, arugula, tomato, grilled red onion and cheddar cheese served with season fries. Twisted Mac, Chicken & Cheese Cavatappi macaroni tossed in a three-cheese sauce with Classic wing sauce and roasted red peppers. Topped with Parmesan parsley bread crumbs and grilled chicken breast. Hot fudge brownie Vanilla ice cream and hot fudge on a fresh homemade brownie, topped with chopped walnuts, chocolate sprinkles, fresh whipped cream and a cherry. While you are at the Hard Rock Café, make sure you take the time to go and check out the Rock Shop and pick up some Hard Rock Café Surfers Paradise branded souvenirs. 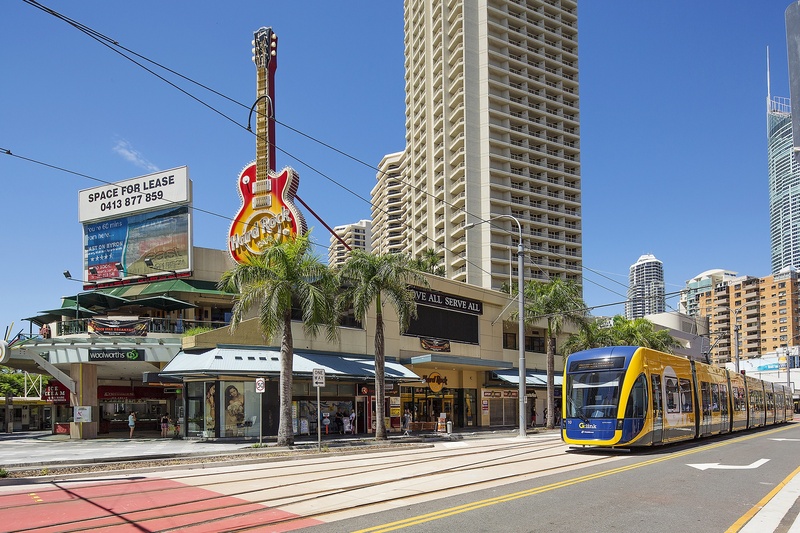 Hard Rock Café is located centrally on the corner of Cavill Ave. & Surfers Paradise.